Mid-hurricane, our clients were working from home, using our VoIP phone service. Given that we’re a Tampa-based business phone service, weather-related disasters were at the forefront of our software design. Here in the TeleVoIPs office, we can’t function without phone service—all of you are counting on us to be here for you, even during a storm that downs trees, power lines, and internet service. So we designed a system that won’t fail us, or you. Our servers automatically detect when your office loses internet power, and then forward calls accordingly. Your calls can ring cell phones, alternate offices, softphones, or remote phones based on your preferred strategy. The ability to control call flow based on time conditions comes in handy for offices with regular hours, but is even more critical in the event of an emergency. Based on set times and dates, calls will be sent automatically to an after-hours message, an answering service, a voicemail message, or another phone. With our one-touch call-flow toggle buttons, a disaster plan can be activated immediately. When employees need to travel out of town at the drop of a hat, the ability to work from anywhere is essential. The TeleVoIPs app allows for making and taking calls and even sending and receiving SMS/MMS messages from your business number, no matter your location. We’re proud of our team for responding to all of our clients’ communication needs from their homes during the storm last month, and our clients seem pretty proud of us in return. 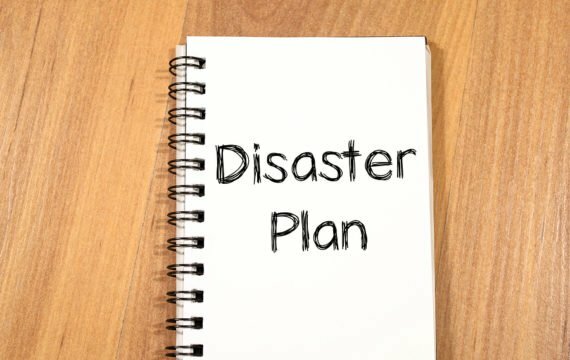 If you don’t have a disaster recovery plan for your communication in place with us yet, get in touch. Unforeseen Downtime: What’s Bad Tech Costing Your Business?